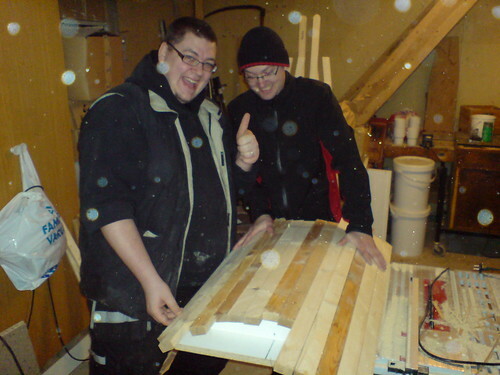 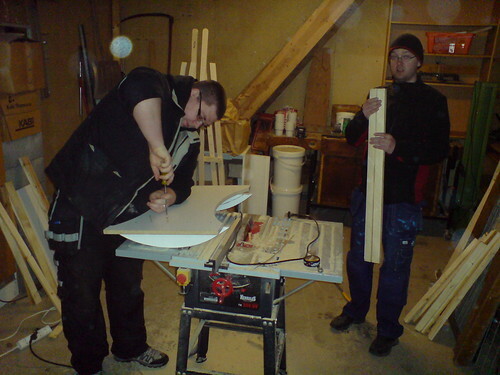 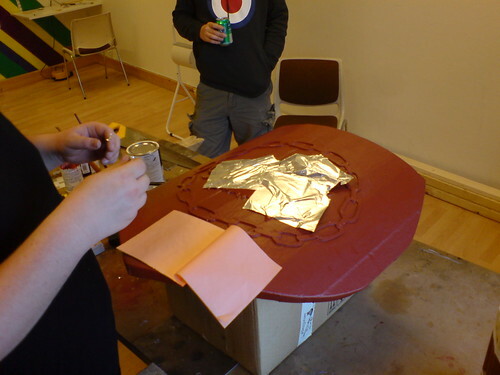 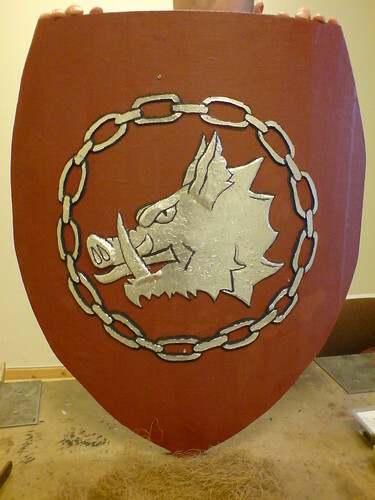 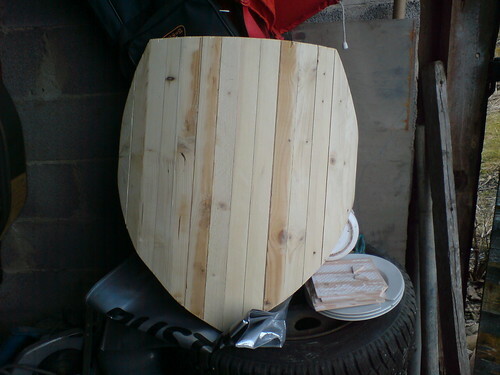 This shield were made for the monastery in Morromondo by Martin, Stefan and Fredrik. 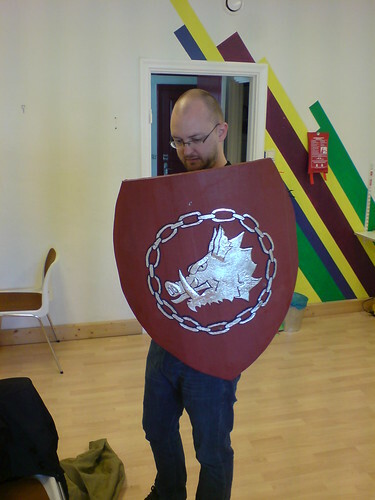 First there was the mighty jig. 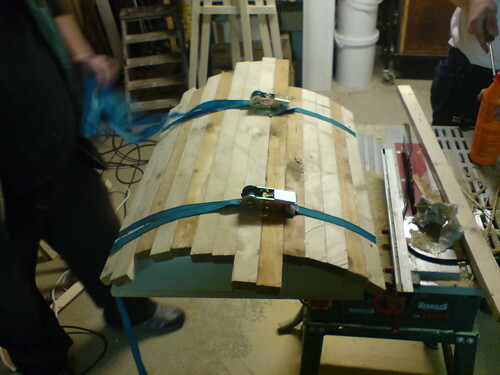 Aligning the wood parts and making sure they fit well. 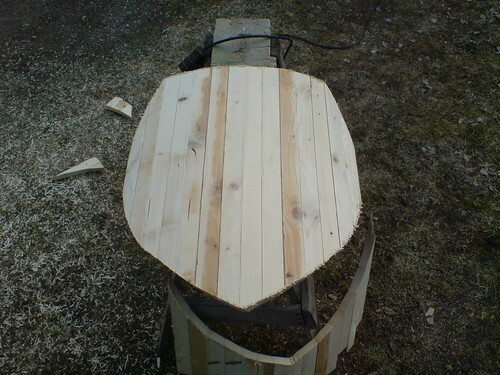 Smoothing out the surface and also making it thinner to the sides. 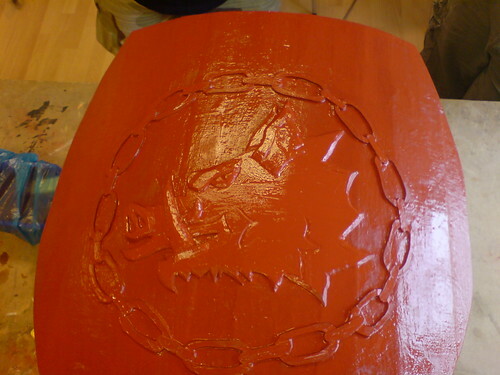 Gluing the linen cloth to the shield with Gesso. 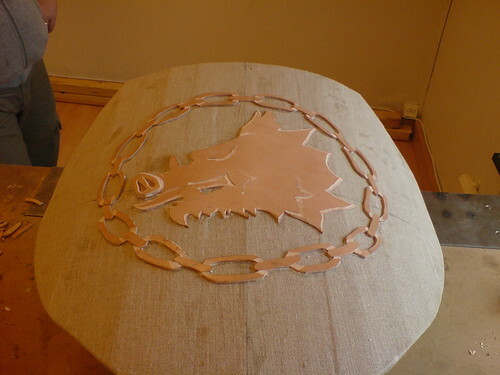 Cutting and forming the leather pieces. 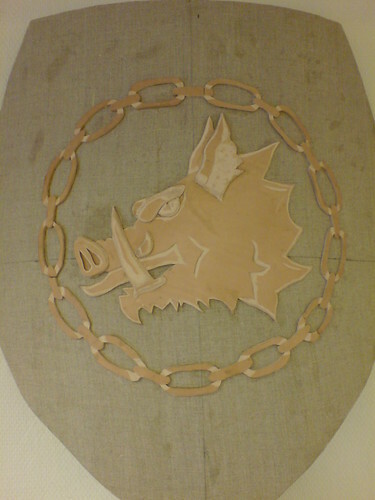 On the snout there is a double layer. 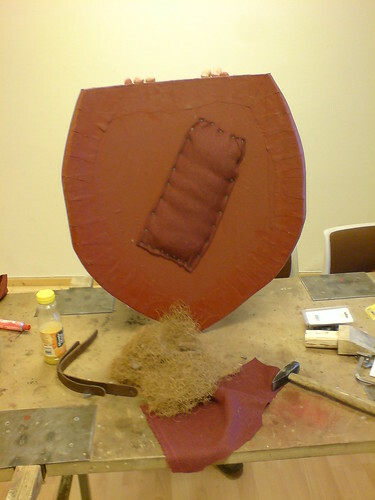 Binding the shield together whit gesso dyed with iron oxide. 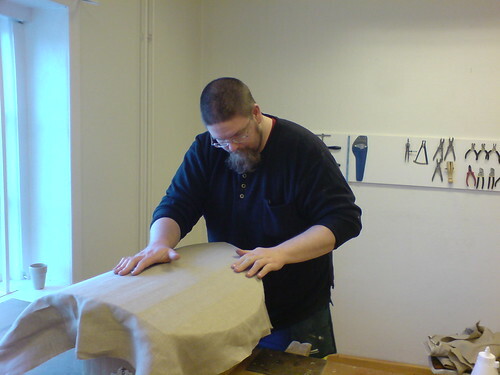 Making a padding for the arm with horse hair and wool cloth. 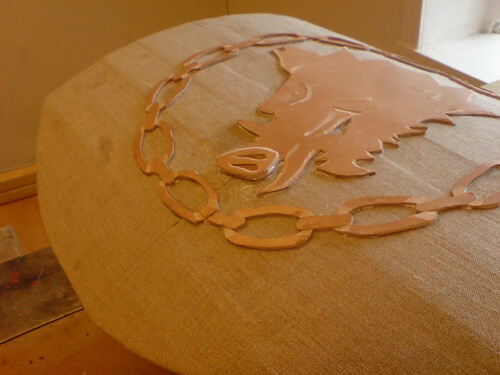 A final layer of black coutures made from gesso and charcoal.